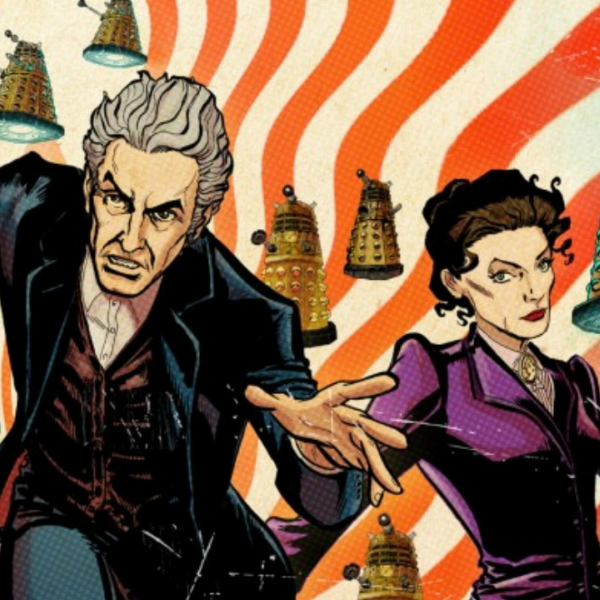 A brand new trailer has been released for the upcoming new Doctor Who game from Tiny Rebel Games, Doctor Who Infinity. Announced last autumn, the new puzzle game from the makers of Doctor Who: Legacy and licensed by BBC Worldwide will launch this spring with the first of five new comic book-style playable adventures. The Dalek Invasion of Time, written by George Mann, is a new Twelfth Doctor adventure featuring artwork from Mike Collins and coloured by Kris Carter; all three have previously worked on Doctor Who projects. Reprising their Doctor Who roles for the first episode are Michelle Gomez (Missy) and Ingrid Oliver (Osgood), whilst narration will also be provided by Game of Thrones star Bella Ramsey, who joins the Doctor Who universe as new villain Freya. The first Doctor Who game from Tiny Rebel Games, Doctor Who: Legacy, was released in 2013, with the role-playing puzzle game featuring content spanning the full range of the television series as well as extended universe content from Titan Comics and Big Finish Productions. Over four years on the award-winning game still adds new content on a weekly basis, and now boasts over 120 hours worth of gameplay. Doctor Who Infinity is set to have a ‘soft launch’ in early Spring 2018, and will roll out globally on PC, iTunes and Google Play in late Spring 2018.